As the parents of Baby Boomers enter their golden years, the average age of the population in the US is quickly rising. The statistics show that the senior population will steadily grow over the next few decades, and reach 80 million by the year 2050, as all of the Baby Boomers themselves reach senior status. According to recent data, 82% of people said that they would prefer to stay in their homes as long as possible, much preferred over the other options of hospitalization or living in a retirement community. However, it has become impossible for many working families to provide the adequate care that their elderly loved ones need in the home. This has created remarkable interest and growing demand during the decade in home healthcare for seniors. Of course, there are many considerations involved with both your patients and also their loved ones when choosing between a nursing home and home health care. These concerns can be based upon the seriousness of the condition, and how much care is needed for the affected individual. But a facility is often not necessary, and in-home care allows these senior citizens to maintain their independence and peace of mind in the comfort of their own home, with less expense, a critical component of reducing the cost of healthcare in this country. Home care also has better patient outcomes and quality of life on average than other options. As the home healthcare option becomes more mainstream, the number of questions that are popping up within families are also growing. One of the most common myths of home healthcare is if the family is already helping, there's no need for additional care. However, people who are physically or emotionally exhausted or guilt-ridden because of their own shortcomings simply cannot provide the best care. According to the research provided by the Harvard Medical School Family Health Guide, family caregivers should neither expect nor try to be "on-call" 24 hours a day. 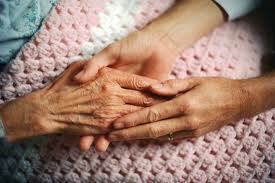 Every caregiver needs respite and periods of relief. Another belief is that if the senior can't do their own shopping or housework, they simply shouldn't do these activities anymore. Everyday tasks, like dishes, vacuuming or rearranging the basement or cleaning the garage, can be quite tedious for a senior with arthritis for example. Basics, such as organizing a closet, can be extremely exhausting for a cancer patient. These tasks are never ending and, if they become more difficult during post-op, or due to treatment or age-related conditions, they can take precious time away from patients in an already very busy schedule. But completion of these tasks is necessary for a high quality of life for your patients. When even the most basic daily tasks become overwhelming, or loved ones just need a helping hand, a qualified care provider is the best option to step in and help. Another myth is that until the senior knows what services they need, they shouldn't consider in-home assistance. But patients don't need to know what care they need up front, that's what qualified homecare professionals are for. Any reputable agency will perform a needs assessment, that will ensure the patient's needs are accounted for and the attending Doctor's Plan of Care is followed. Waiting until needs are quite obvious to all is not usually a recommended path. Seniors may also be reticent to invite a stranger into their home. Safety is always a legitimate concern for seniors, especially considering the relatively rare but highly sensationalized stories that highlight patient abuse or breaches of trust. From a security standpoint, when you deal with well qualified care staff, from a reputable agency, this can help provide the peace of mind that patients and families need when arranging help in the home setting. From a medical/patient outcomes standpoint, various studies show that in home care can be safer than the alternatives, and not only because of the one-on-one care. One recent study indicated that about half of infections could be linked directly to hospital care. Another study reported that, given they are seeking the appropriate treatment for their condition, patients with chronic heart disease fare much better at home compared to the hospital. And, ultimately, remaining home can be less stressful because it is familiar, which fosters a sense of comfort and calmness for your patients. There comes a time for most ailing seniors to decide if they want home care or want to be in a nursing home. When factoring in the many benefits of staying in their own homes, added with the stress and apprehension of moving to a new home or facility (difficult at ANY age), it's easy to understand the exploding demand for home healthcare. Noel Picard is with Med Plus Healthcare, a firm that offers home healthcare solutions in the St. Louis, Missouri and Illinois regions. You can learn more about the sometimes confusing world of home health, visit their website at http://www.medplushc.com. Noel Picard is a trendspotter within the in-home care field for Med Plus Healthcare, a firm that offers home healthcare solutions in the St. Louis, Missouri and Illinois regions. 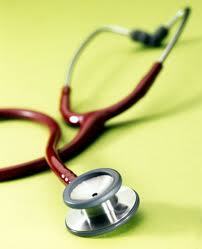 You can learn more about the sometimes confusing world of home health, visit their website at http://www.medplushc.com.